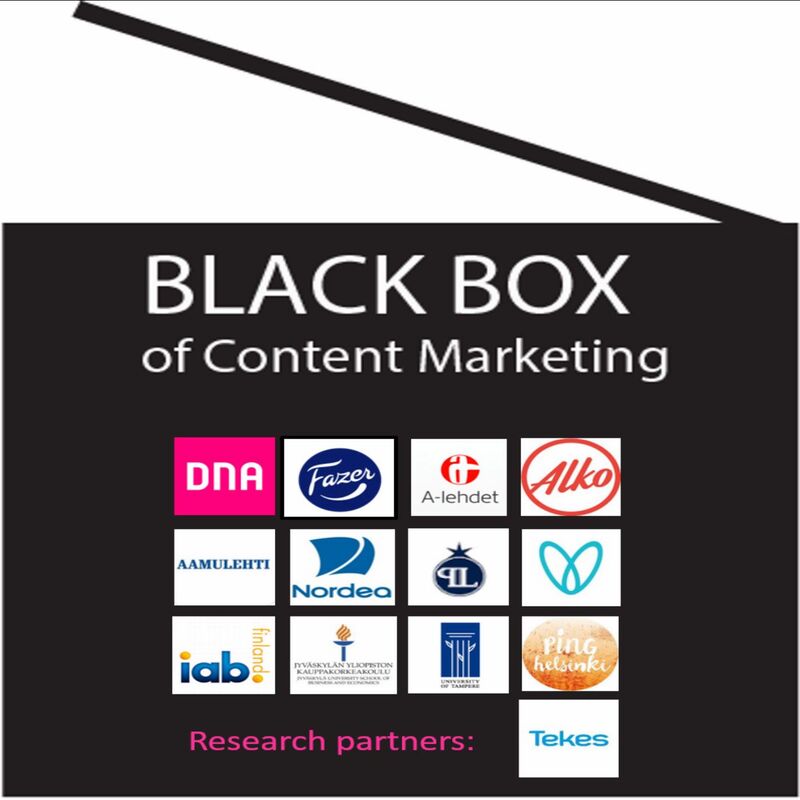 Podcast series "Unboxing Content Marketing" is part of Tekes-funded research project Black Box of Content Marketing. In this series the researchers take different perspectives to learn more about content marketing by interviewing content marketing professionals and researchers. The research project is carried out in co-operation by the Jyvaskyla University School of Business and Economics, and University of Tampere. Learn more at: r.jyu.fi/blackbox. Yhteensä 9 jaksoa, joista ensimmäinen julkaistu 23.5.2017. Content marketing often aims at engaging consumers. But what is consumer engagement? How to foster engagement and what kind of outcomes does engagement have? On our last episode of "Unboxing Content Marketing" we talk about engagement with associate professor Elina Jaakkola from the Turku School of Business and Economics. Interested in data-driven marketing? In this episode of "Opening the Black Box of Content Marketing" we take a look at how data is gathered and analysed for marketing purposes and talk about the latest trends. Our guest is Jussi Piri, Managing Director of ToinenPhd. In this episode we take a critical look on policy and regulation issues. Is the media regulation up to date, when it comes to content marketing? Our expert guest is Dr. Jonathan Hardy, professor of Media and Communications at the University of East London. We are back! In this episode we learn about persuasion knowledge. What happens when we realise that we are being persuaded? Our guest is professor Sabine Einwiller from the University of Vienna. In our fourth episode we talk about the possibilities of virtual reality for content marketing with Chief Marketing Officer Laura Ala from VR content studio Zoan. What kind of presence could brands have in virtual reality? And what does our virtual future look like? In the third episode of "Unboxing Content Marketing" we talk to Dr. Katerina Tsetsura, professor of Public Relations and Strategic Communication at the Gaylord College of Journalism and Mass Communication, University of Oklahoma. Listen to what Dr. Tsetsura has to say about transparency in content marketing and media, fake news and the impacts of lack of transparency on the whole society. In the second episode of our podcast we talk to Youtubers Anni and Lauri Vuohensilta, the creators of Hydraulic Press Channel. Their channel has over 1,7 million subscribers and their other channel Beyond the Press is also growing fast. Listen to Anni and Lauri talk about their audiences and co-operation with brands. This is the intro episode of podcast series "Unboxing Content Marketing". In this series the researchers take different perspectives to learn more about content marketing by interviewing content marketing professionals and researchers. This podcast series is part of Tekes-funded research project Black Box of Content Marketing. The research project is carried out in co-operation by the Jyvaskyla University School of Business and Economics, and University of Tampere. Learn more at: r.jyu.fi/blackbox.